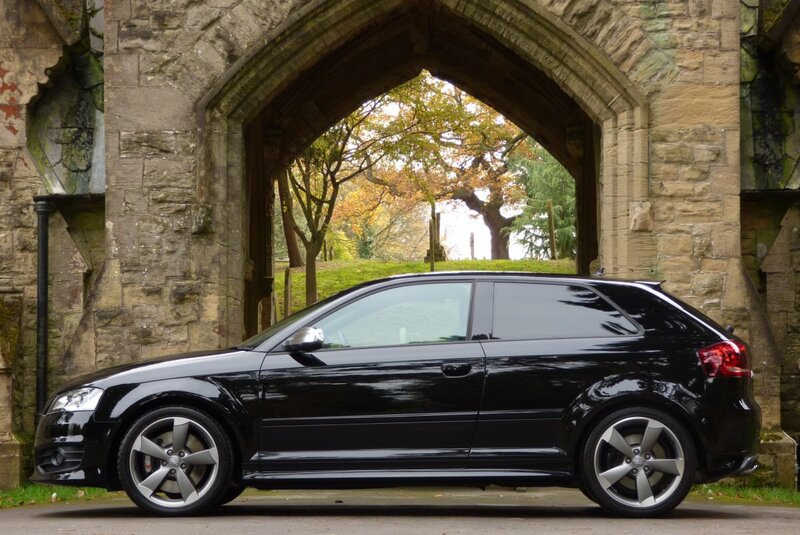 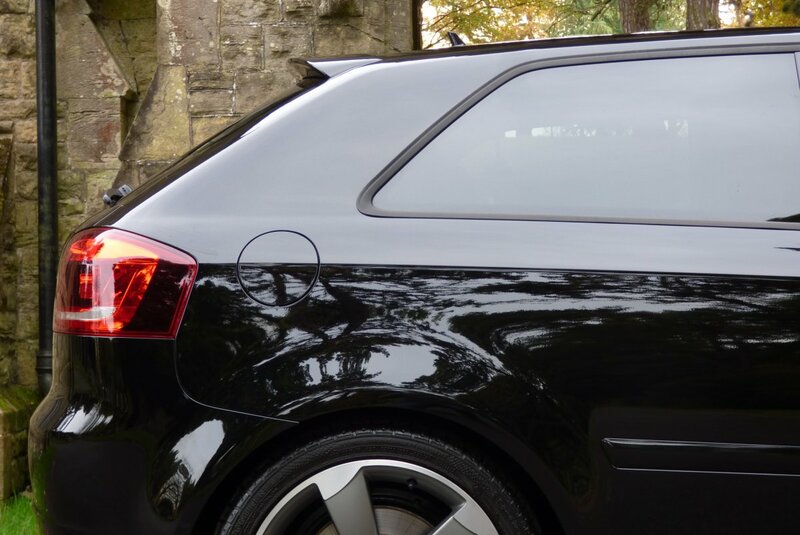 The Second Generation Audi A3 Was First Showcased To The World At The Geneva Motor Show In 2003, With The Mighty Hot Version Being The S3 Introduced To Eager Buyers And The Motoring Press In The August Of 2006. 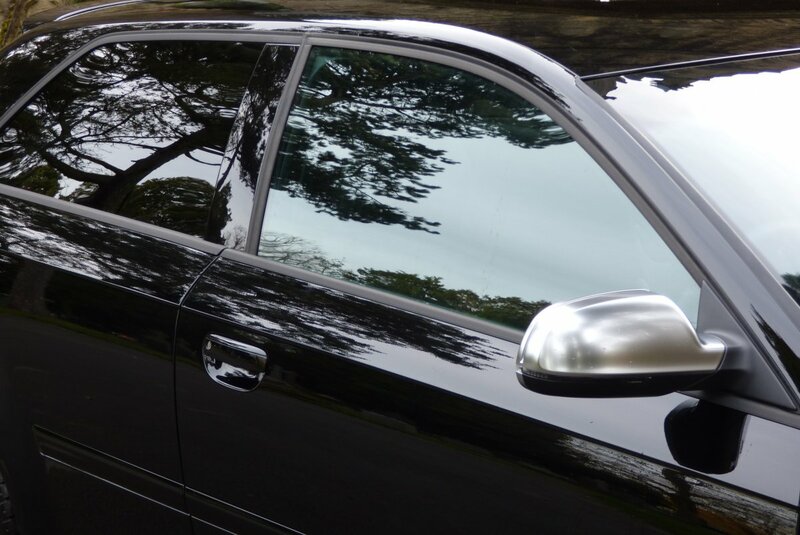 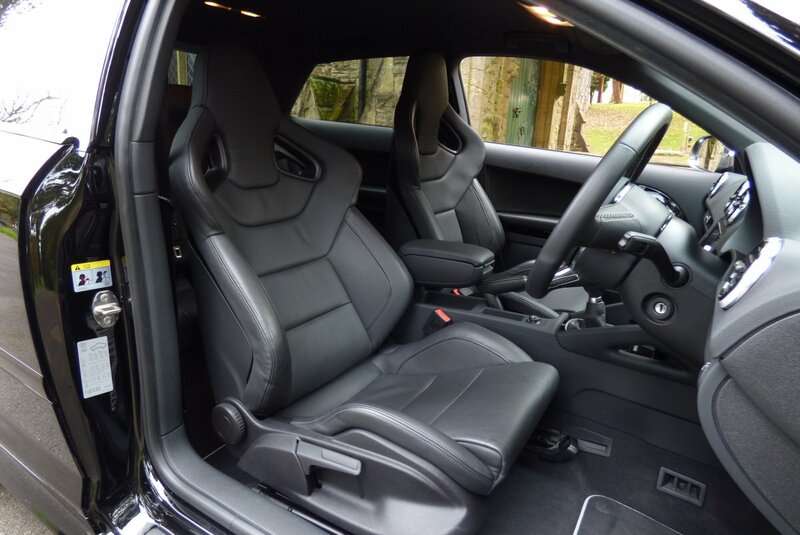 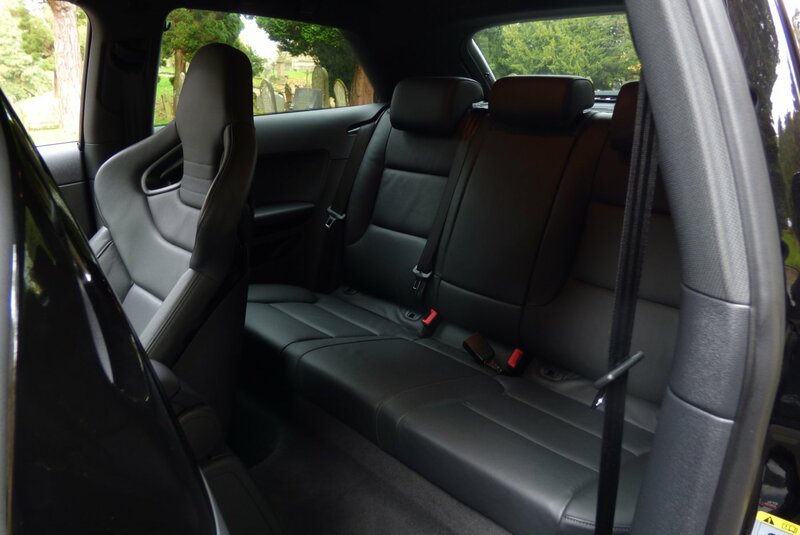 This Top Lining Model Was To Follow The Same Suit As The Generation One, In Offering Buyers A High Powered Small Sized Sports Car, But Still Had The Fabulous Audi Build Quality, That Has Been World Famous For Many Years Now. 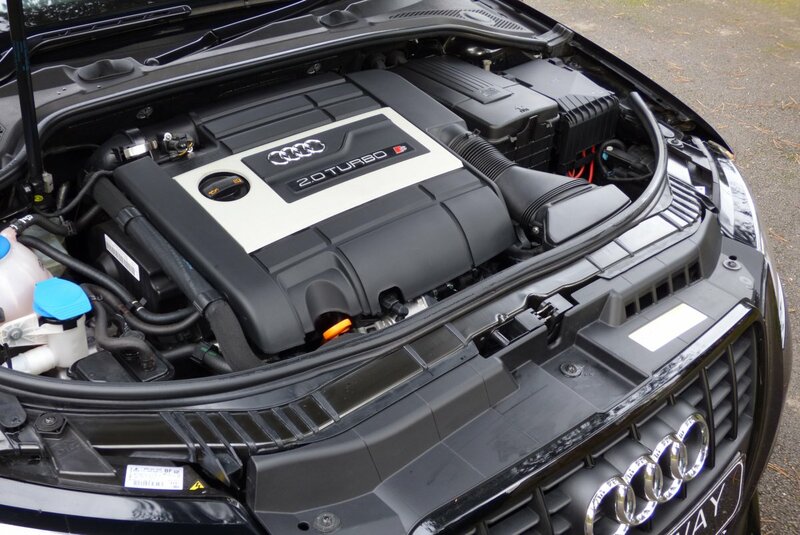 This All New Model Had Fitted The All New 2.0 Litre Turbo Charged FSI Petrol Engine That Produced A Rather Healthy 265 Brake Horse Power, That That Capable Of Accelerating Both The Driver And Passengers From 0-62 MPH In Just 5.5 Seconds And Climbed To An Electrically Limited Top Speed Of 155 MPH, All Of Which Was Perfectly Controlled By The Audi Quattro Four Wheel Drive System. 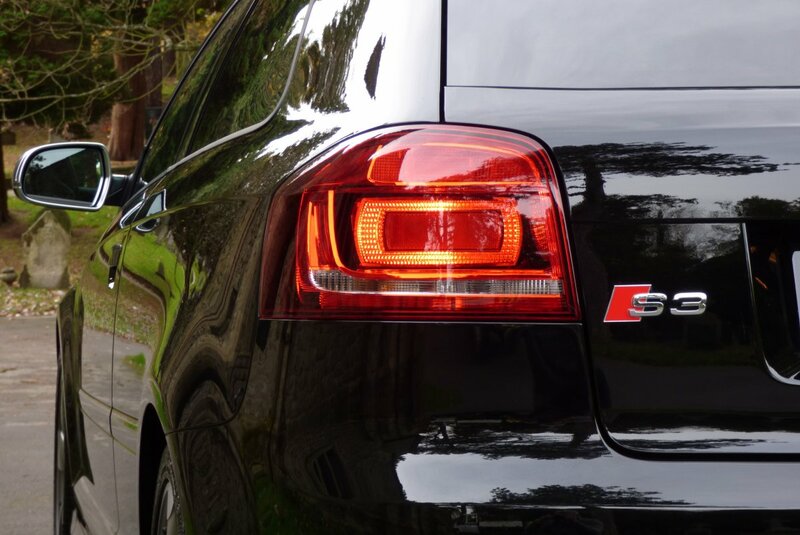 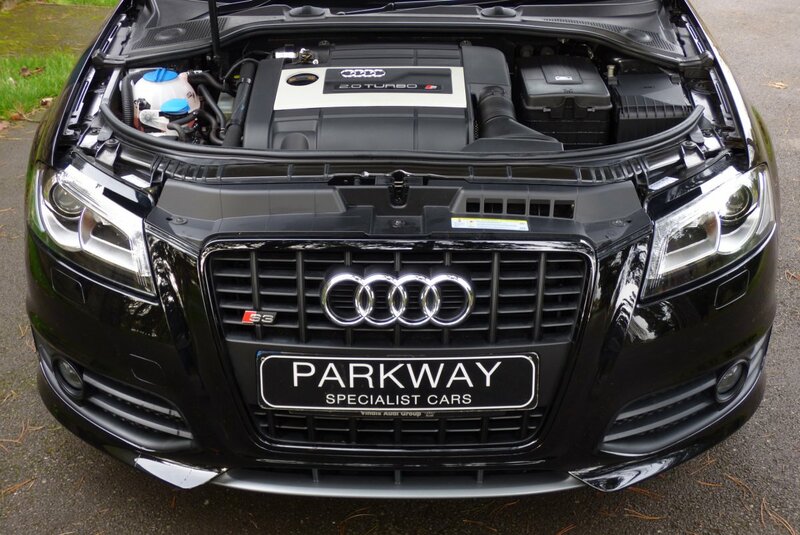 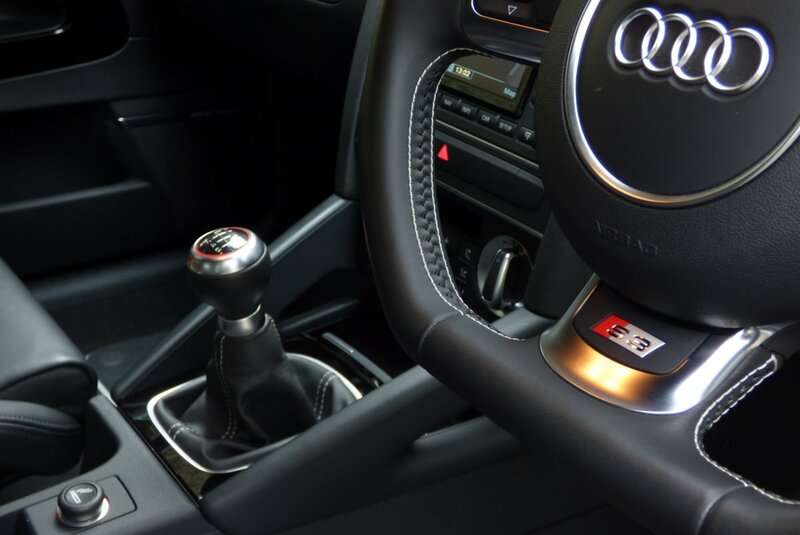 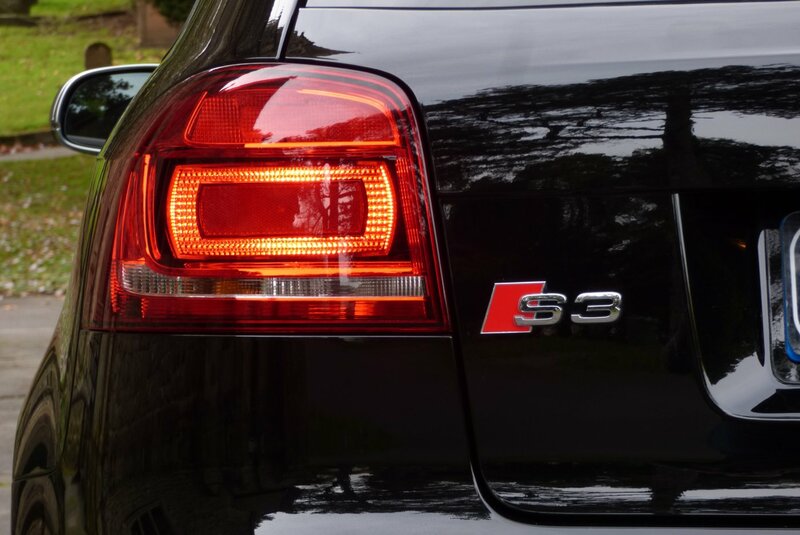 Even Today New Buyers Will Demand The Very Best When Buying Into The S3 Brand, With Many Wanting To Acquire Near Perfect Cars, With As A High Options As Possible And With Little Mileage Readings, So All In All, This Should Be A Very Exciting Prospect? 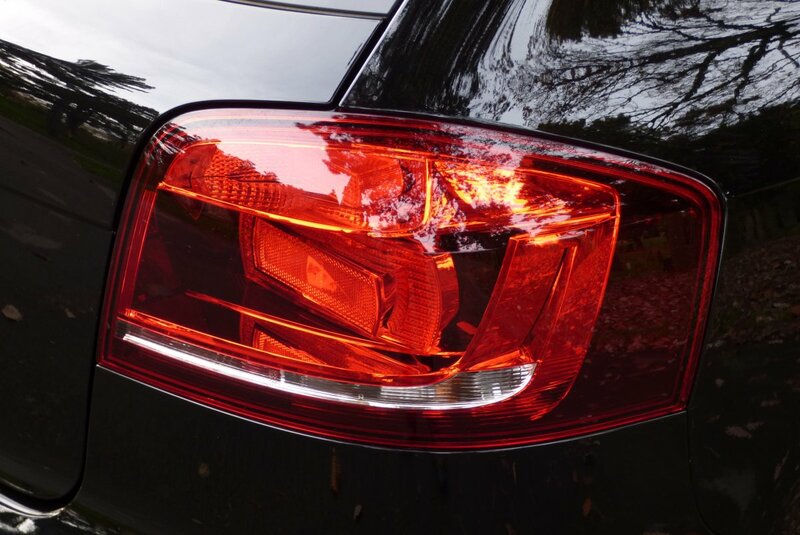 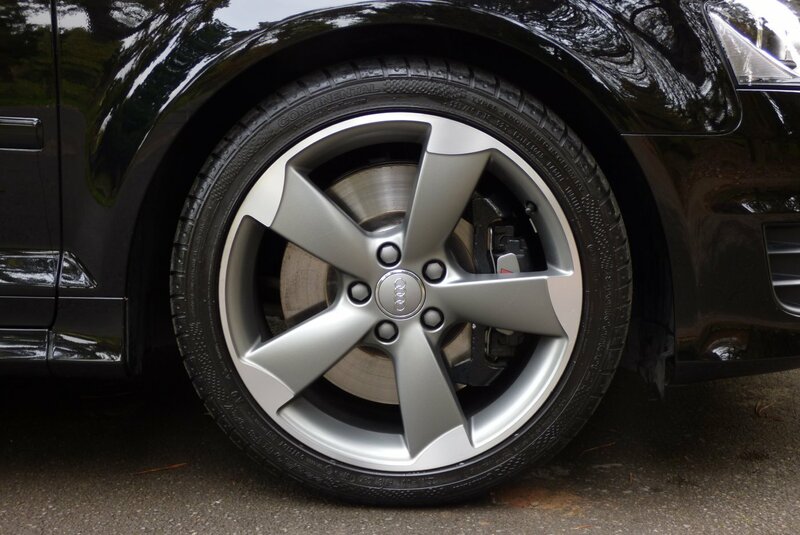 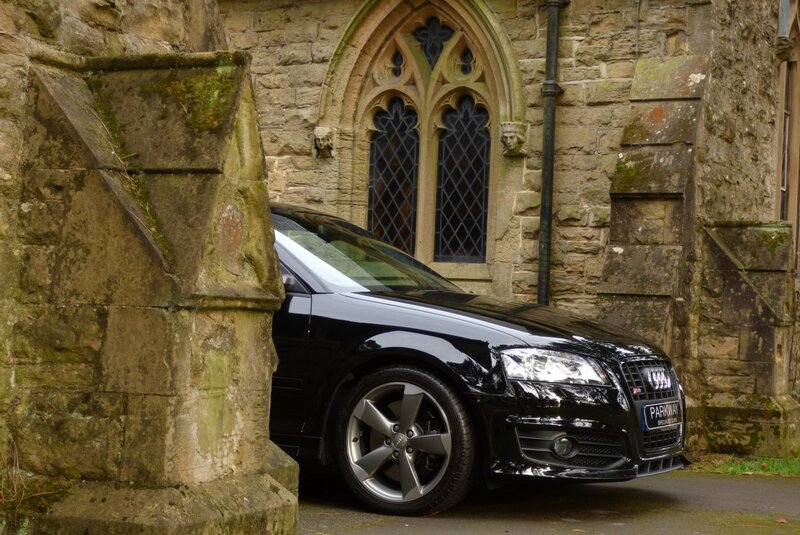 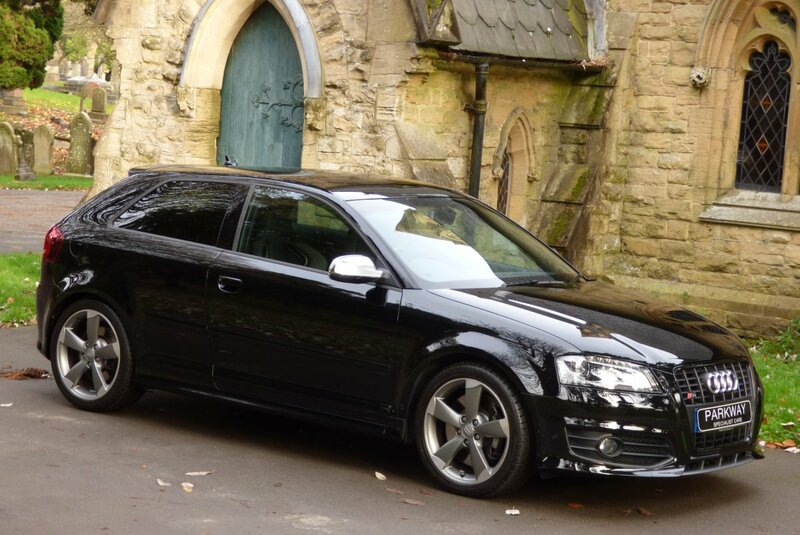 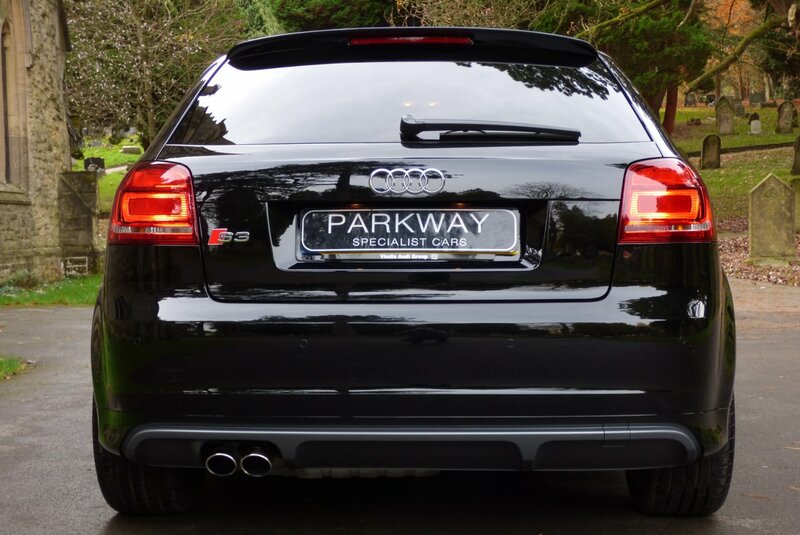 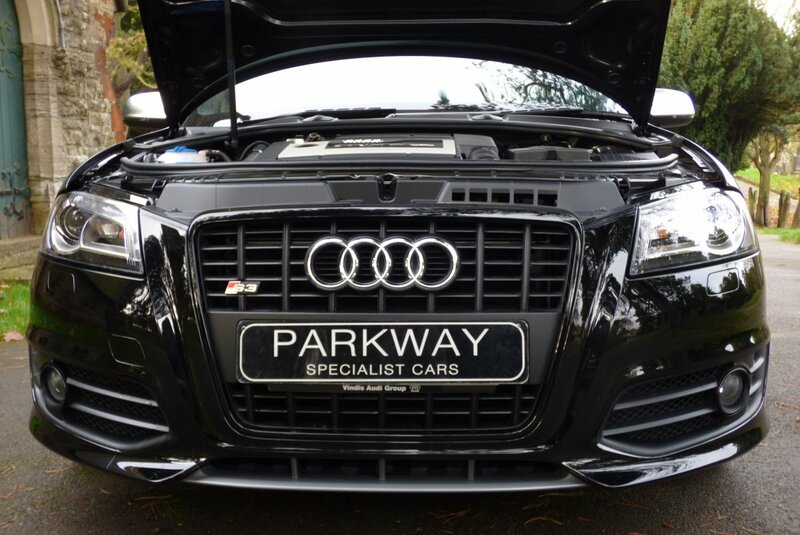 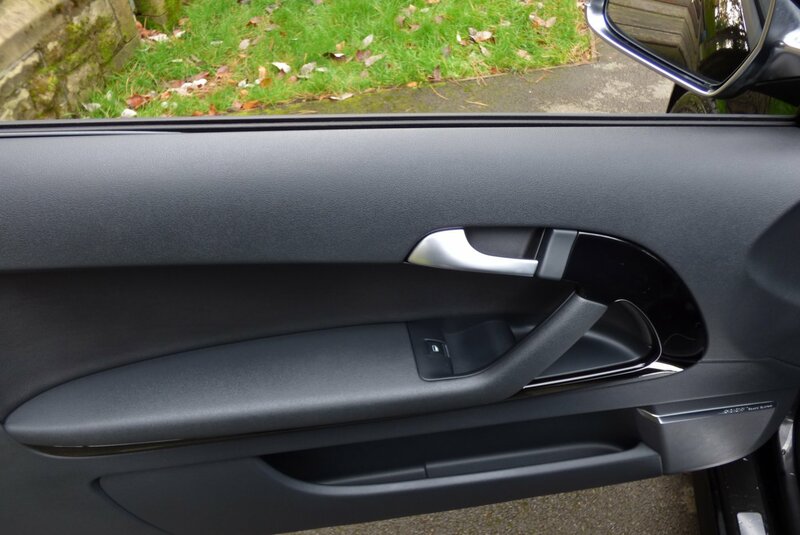 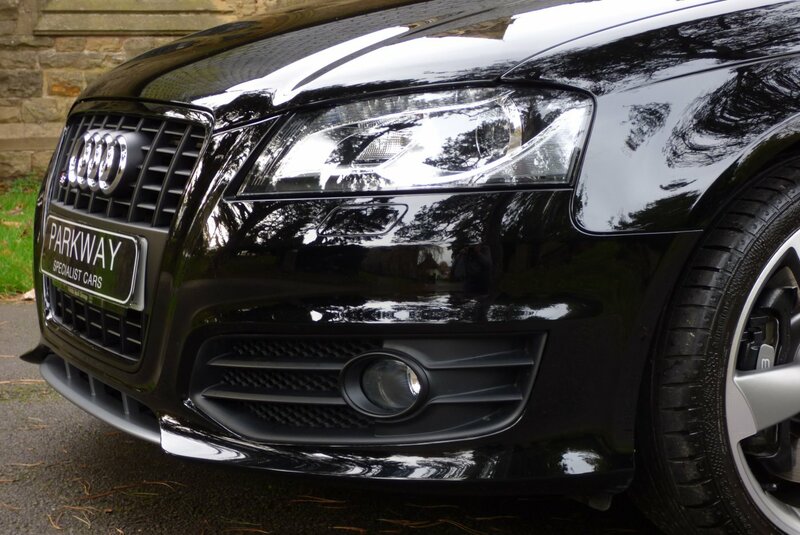 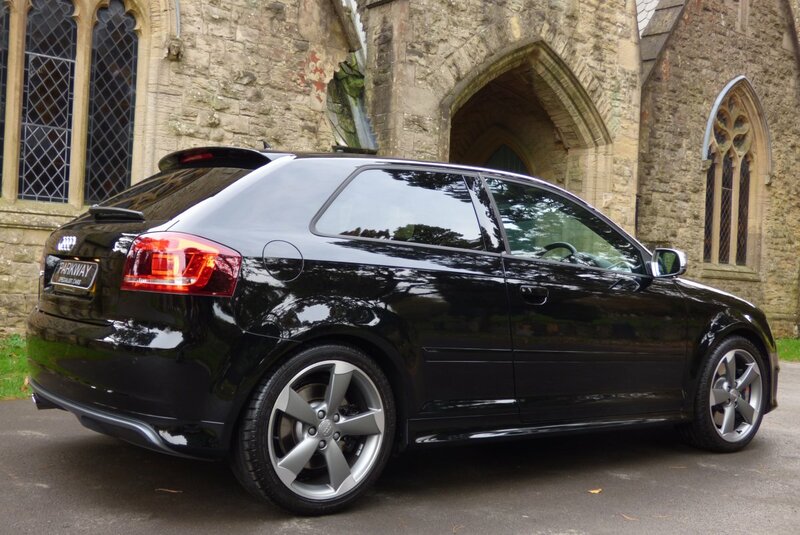 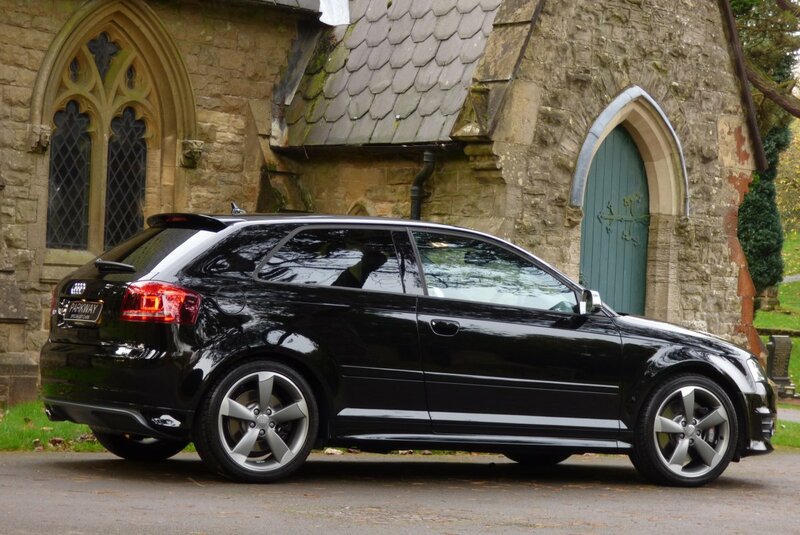 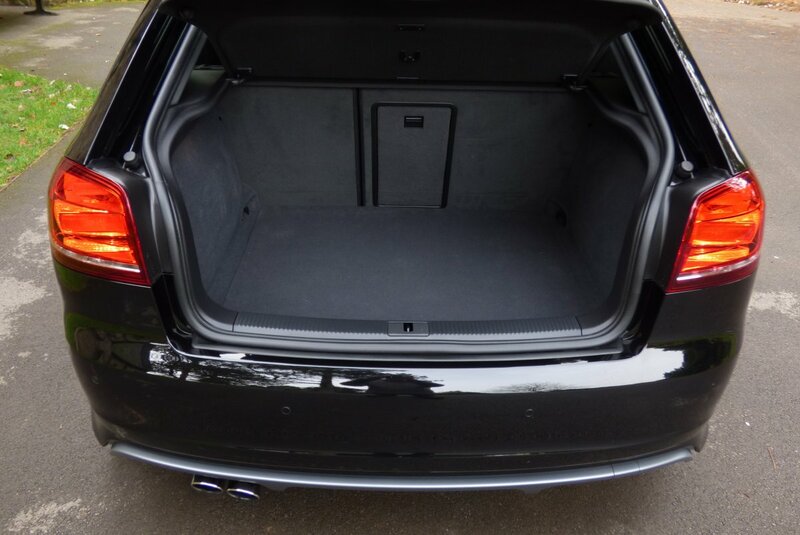 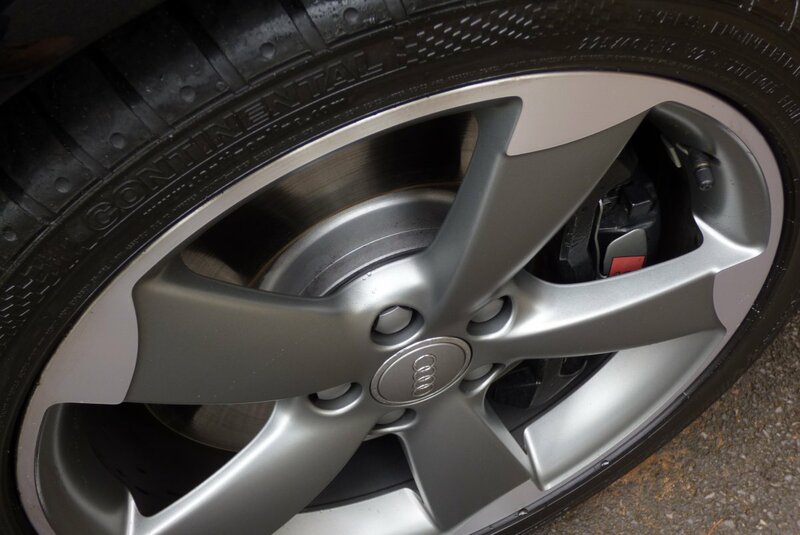 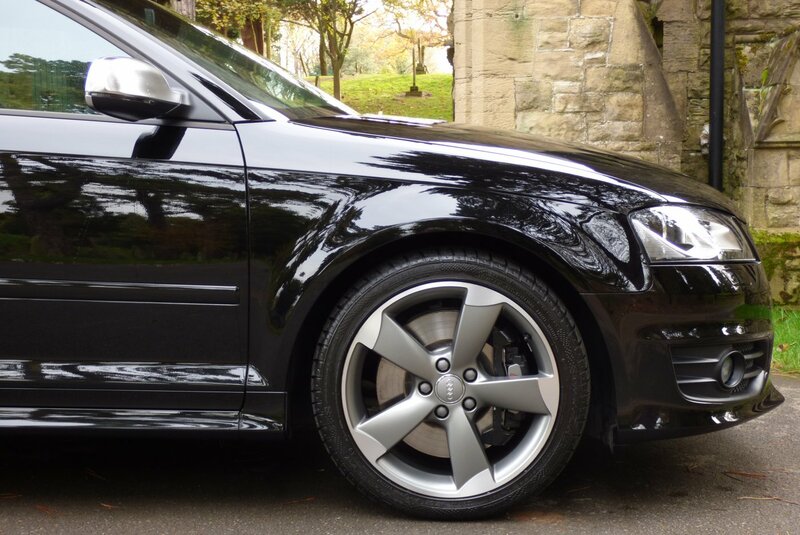 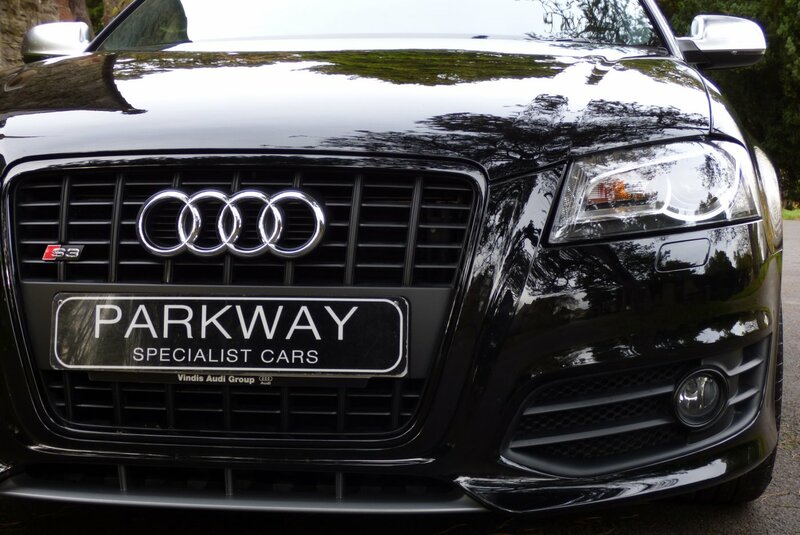 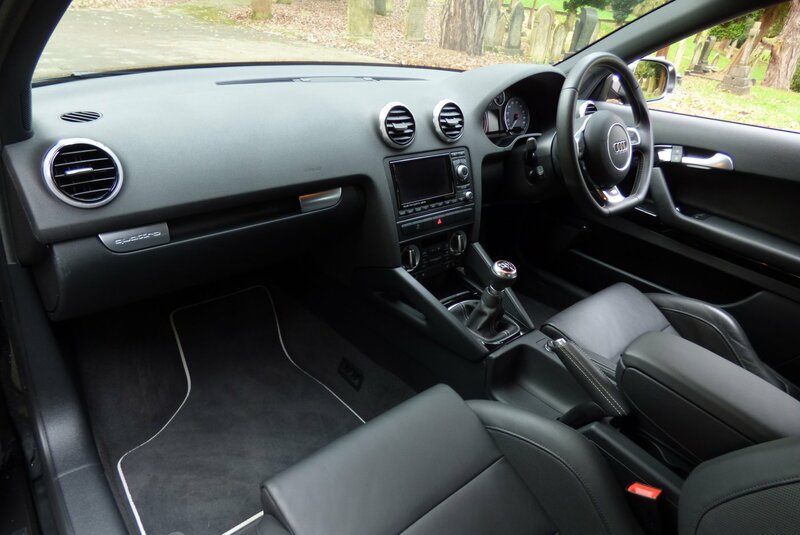 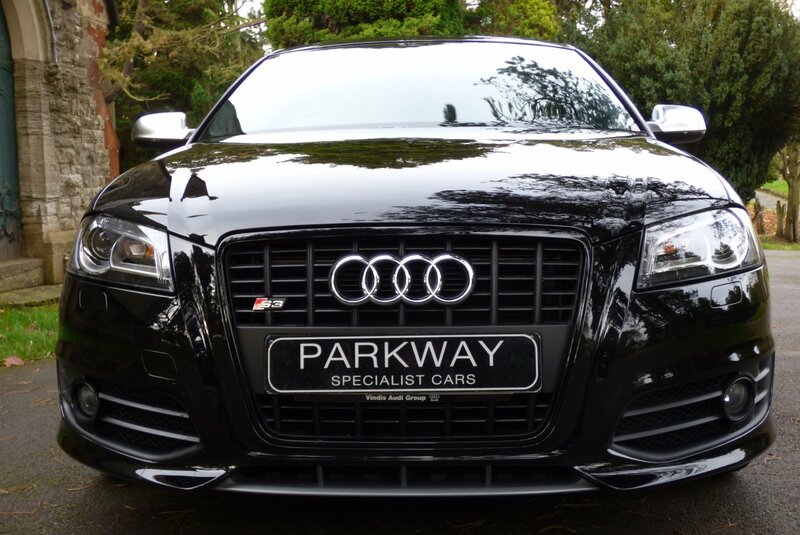 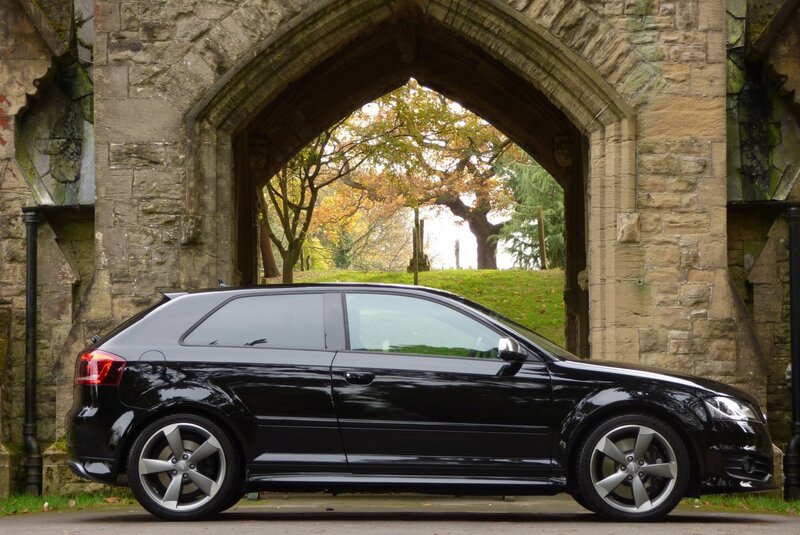 This Perfect Low Mileage Example Was First Supplied By Peterborough Audi In The June Of 2012, To The Only Registered Private Keeper And Over The Last Five Years This Owner Has Only Applied 4100 Miles, Which Roughly Works Out To Just 810 Miles Per Year. 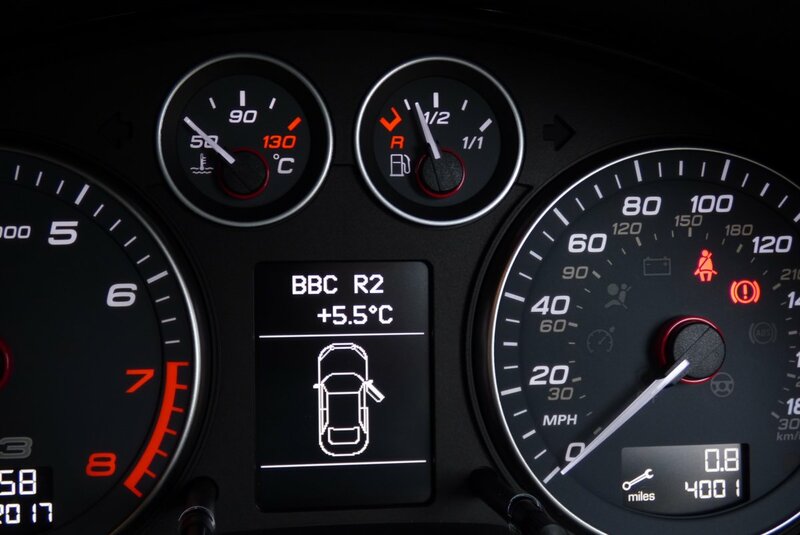 Regardless Of This Incredible Mileage Reading The Car Has Already Been Serviced By Peterborough Audi In The July Of 2015 At 2426 Miles, With Past MOT History Sheets Carried Out At 2426, 3192 & 3804 Miles, Which Will All Help Validate The Current Miles. Once Sold The Car Will Be Treated To A Second Service Completed By Our Dedicated And Knowledgeable Workshops, Prior To The Next Lucky Keeper Taking Charge Of Their Ownership. 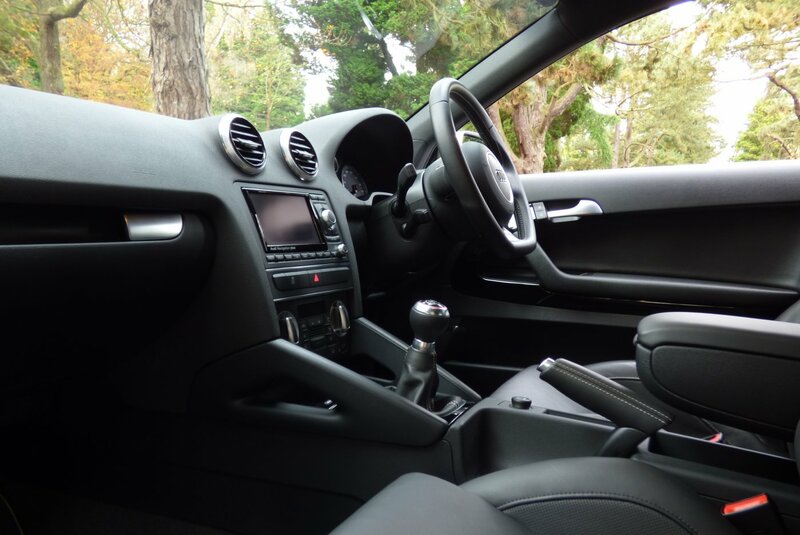 Also Once Sold The Car Will Be Presented With The Entire Booklet Pack Set, A Fully Cleared Hpi Certificate And A Fully Functional Key Set, For The Next Person To Keep And Cherish. 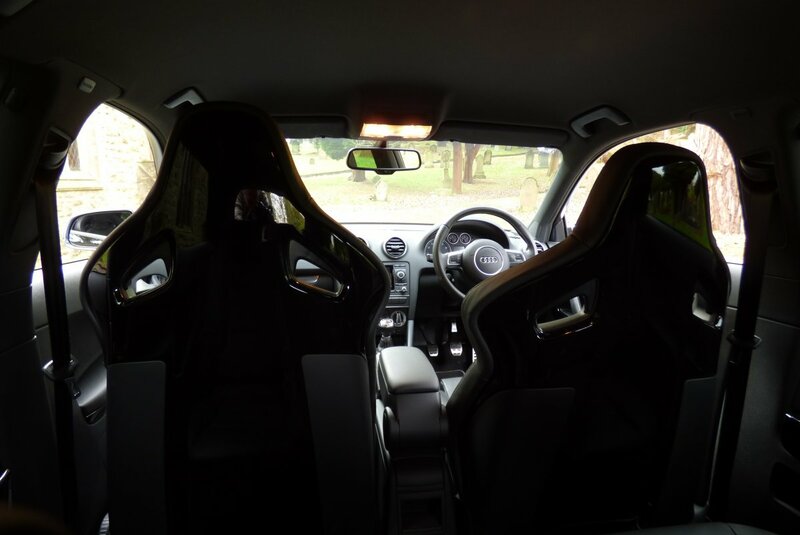 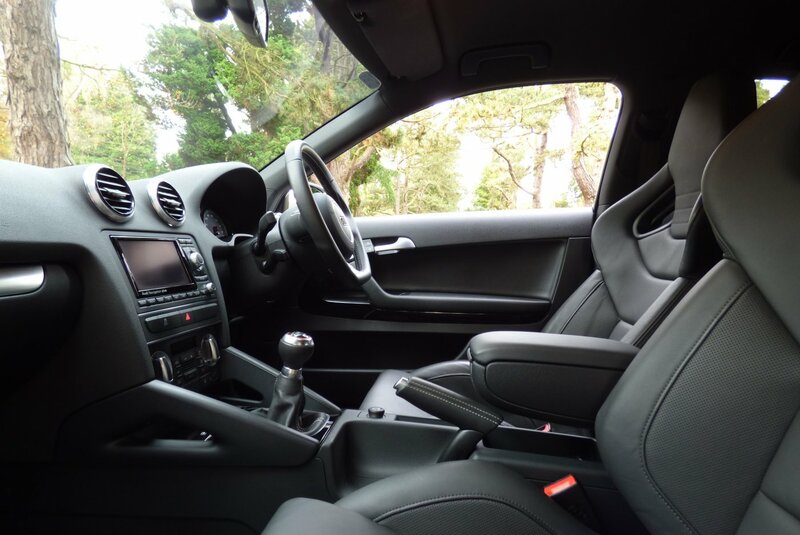 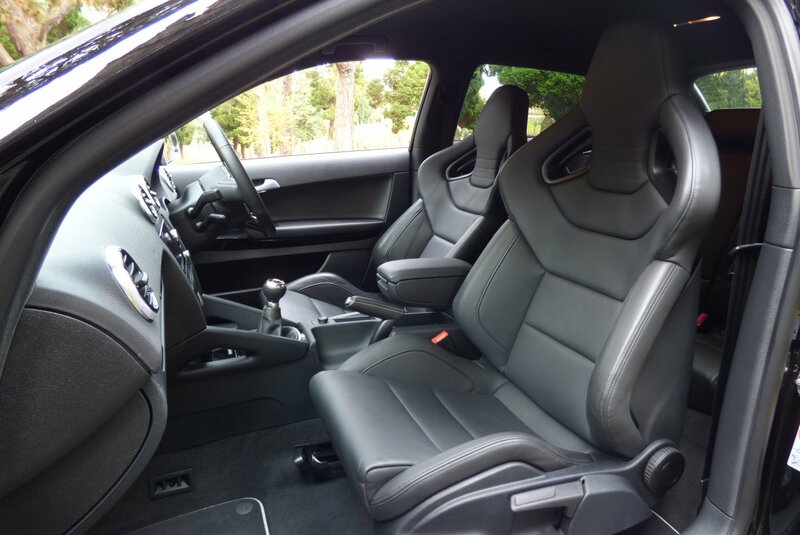 The Interior Is Stereo Typically German On The Build Quality, But Still Offers Both The Driver And Passengers A Comfortable And Exciting Environment, That Can Be Enjoyed No Matter The Distance. 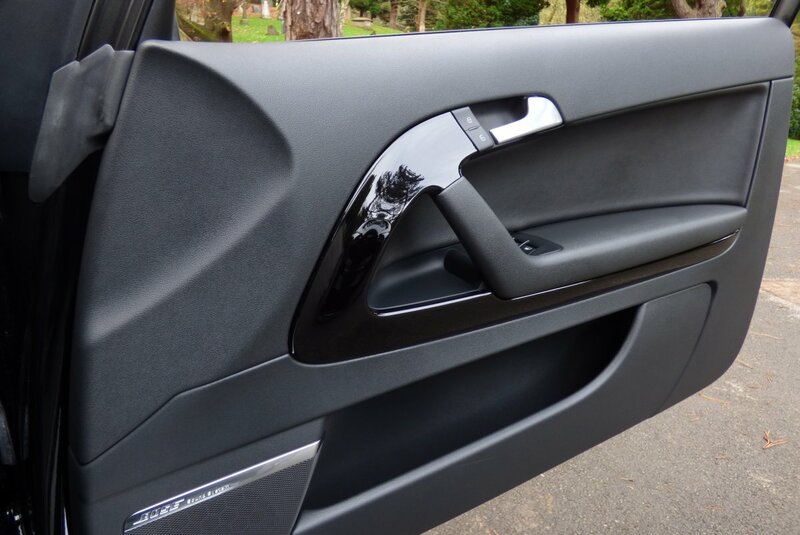 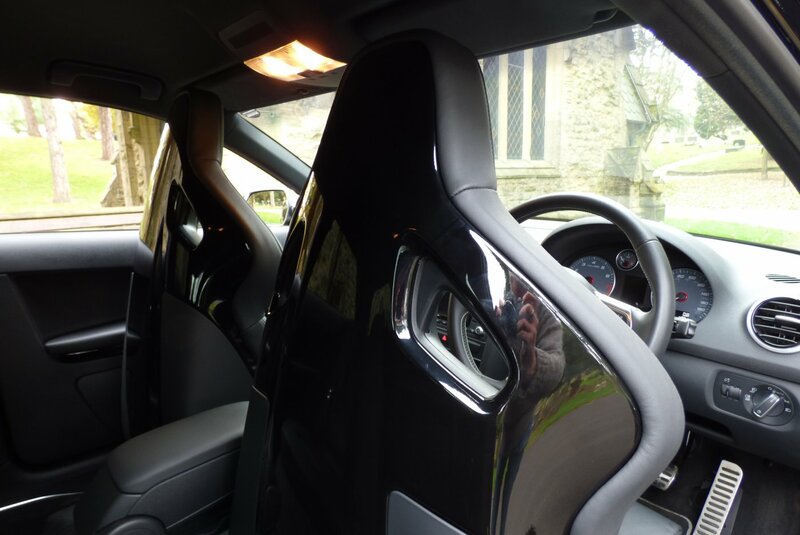 This Car From Factory Build Was Opted With The Rare And Expensive Audi Leather Nappa Bucket Seats Beautifully Complemented With Dark Grey Twin Needle Stitch Work, Black Carpets, The Black Dash That Wraps Around This Exciting Cabin, Black Door Cards, Black Fabric Roof Lining And Decorated With Piano Black Interior Inlays That Finish This Dramatic And Elegant Space. 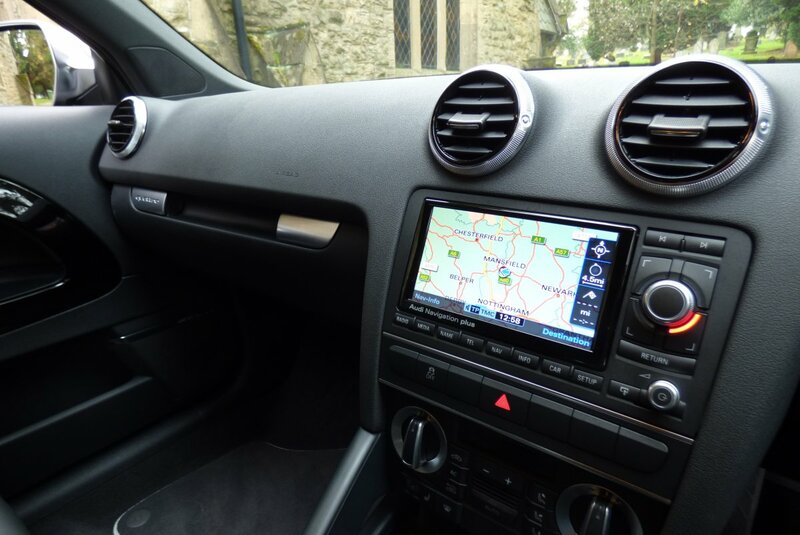 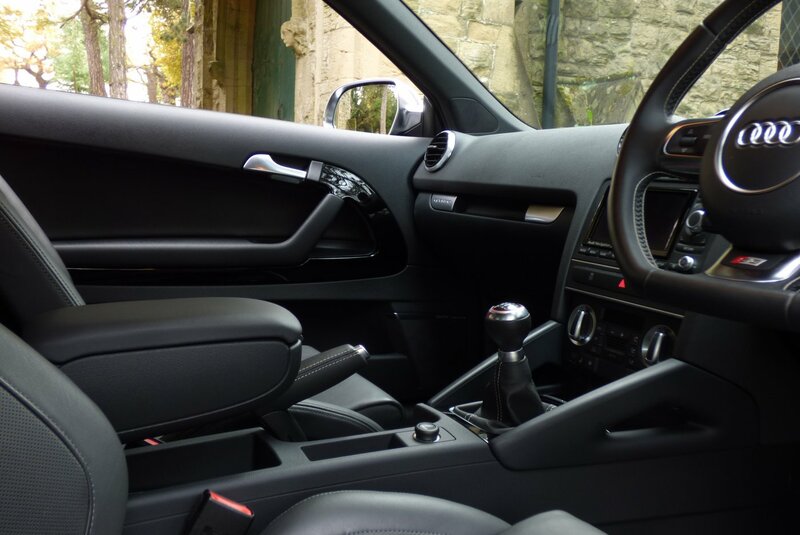 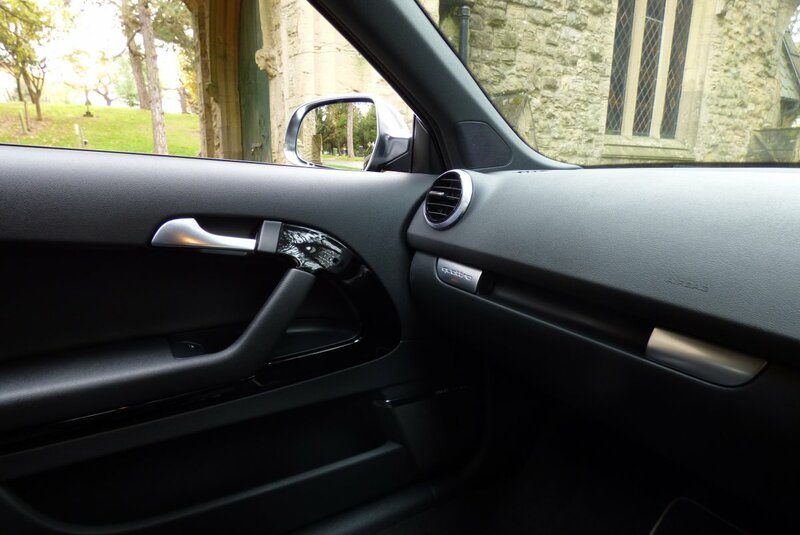 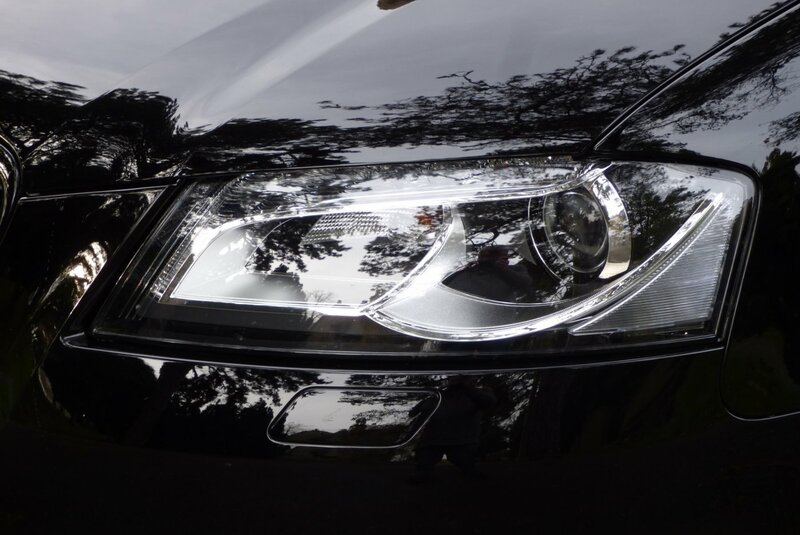 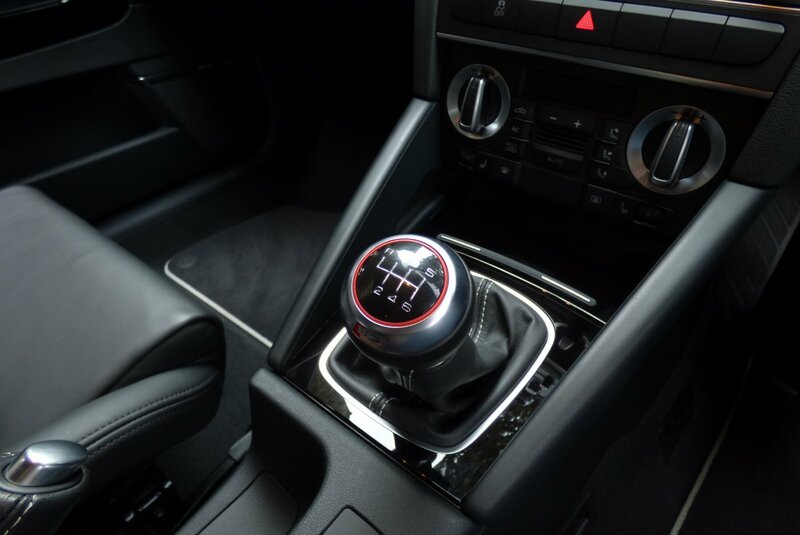 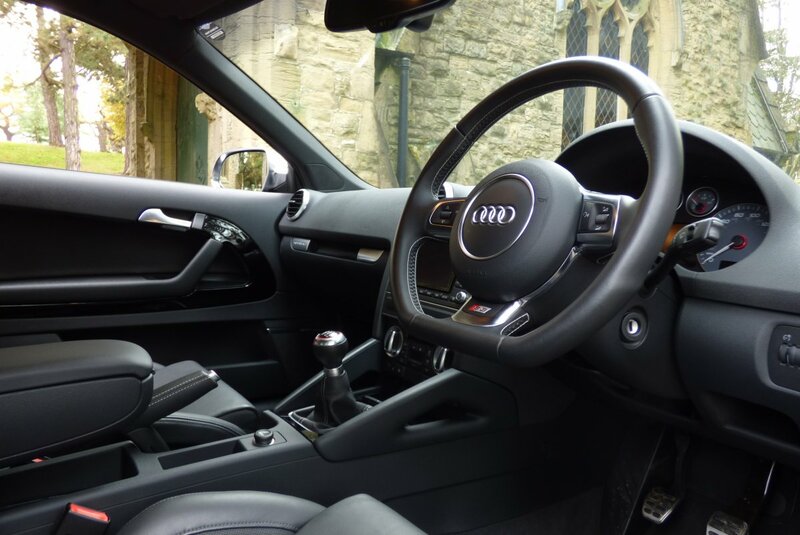 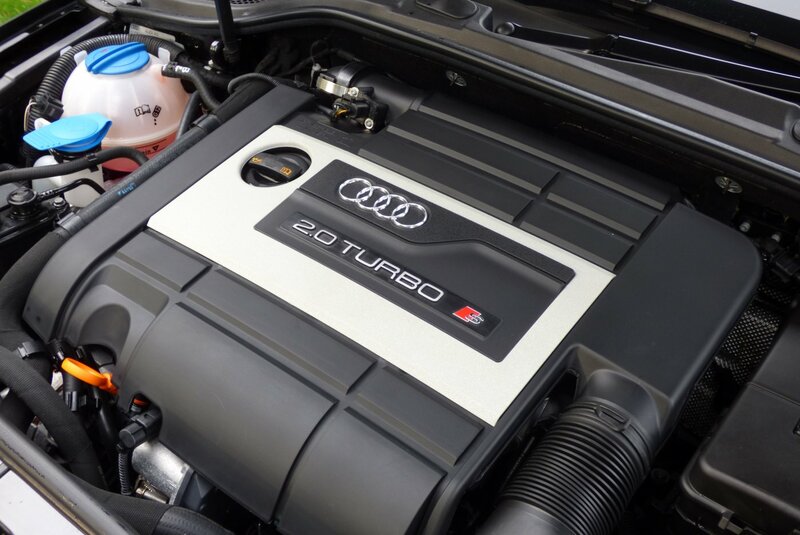 The Vehicle Also Boasts An Excellent Array Of Audi Technology, Meaning That Every Trip Is Perfectly Controlled And Highly Enjoyable, Time And Time Again. 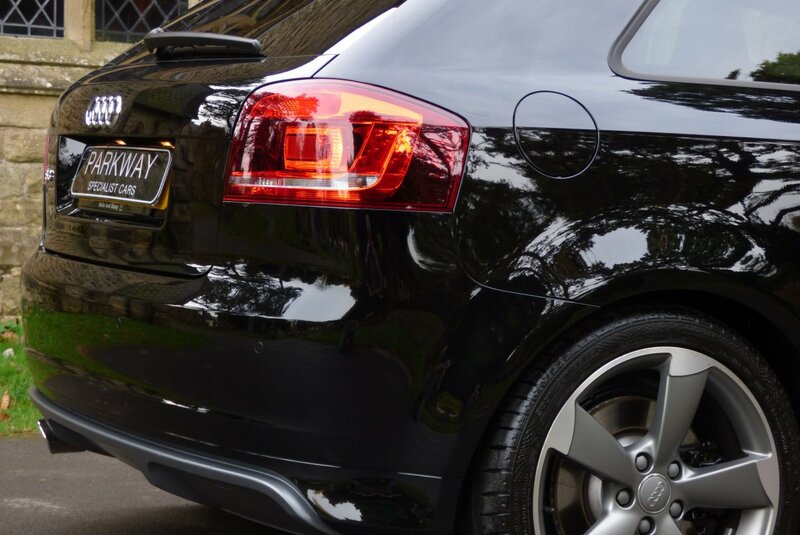 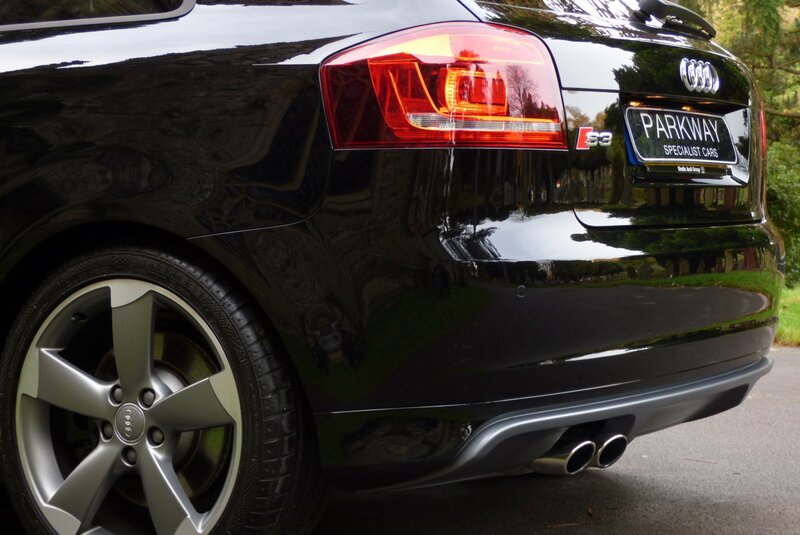 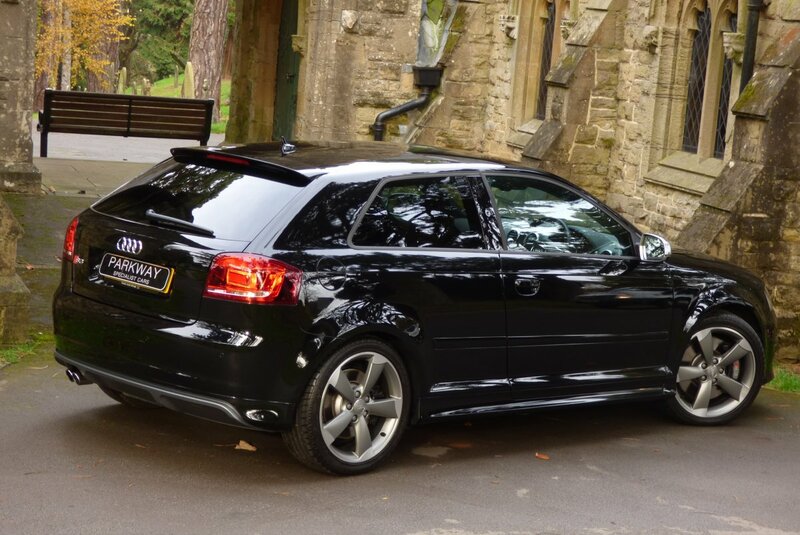 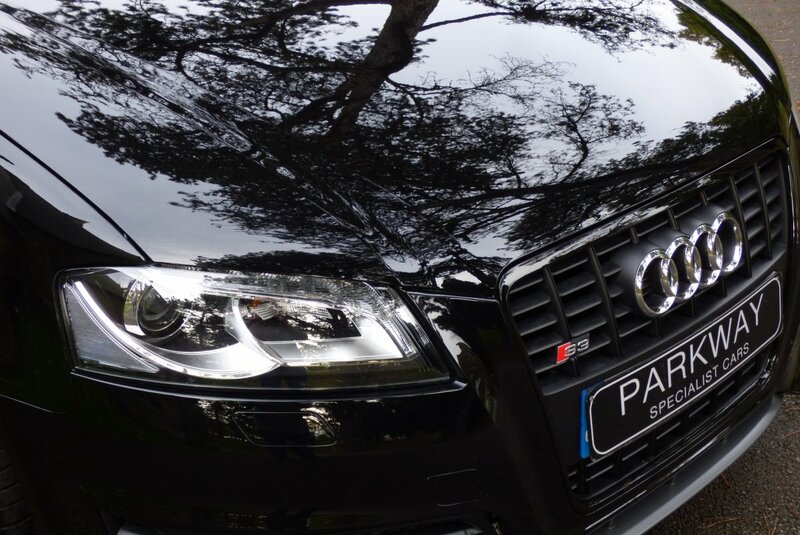 The Body Is Presented In Phantom Black Metallic, Which Perfectly Showcases The Aggressive Audi S3 Curves And The Sublime Exterior Lines. 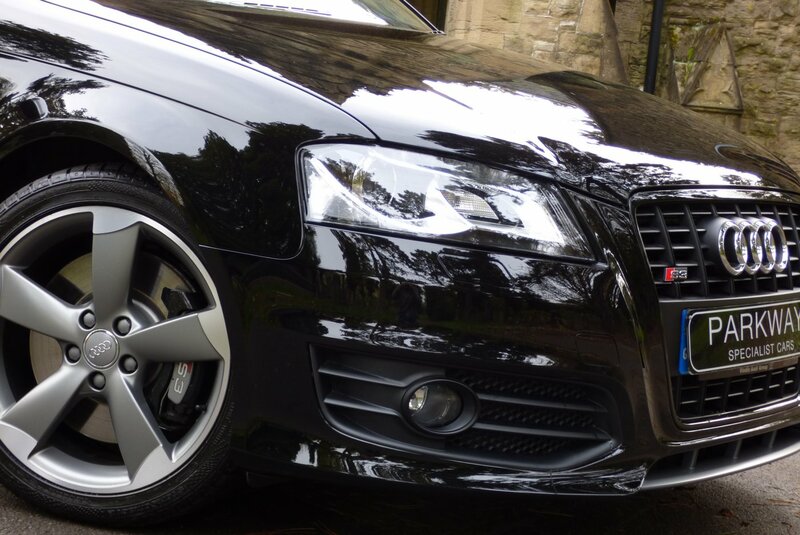 Further Factory Exterior Features Include The Unmarked 18" Five Arm Titanium Rotor Alloy Wheels Which All Sit On Branded Tyres, The Black S3 Embossed Brake Calipers, The Black Optic Pack Which Includes The Black S3 Embossed Front Hexagon Grille, The Twinned Chromed Oval Exhaust Tips, The Sun Protection Privacy Glass And Decorated With The Infamous S3 & Audi Motifs. 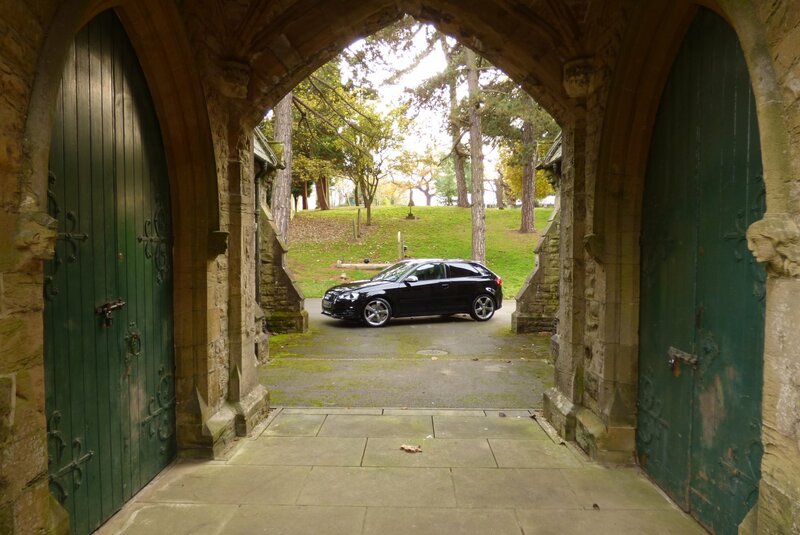 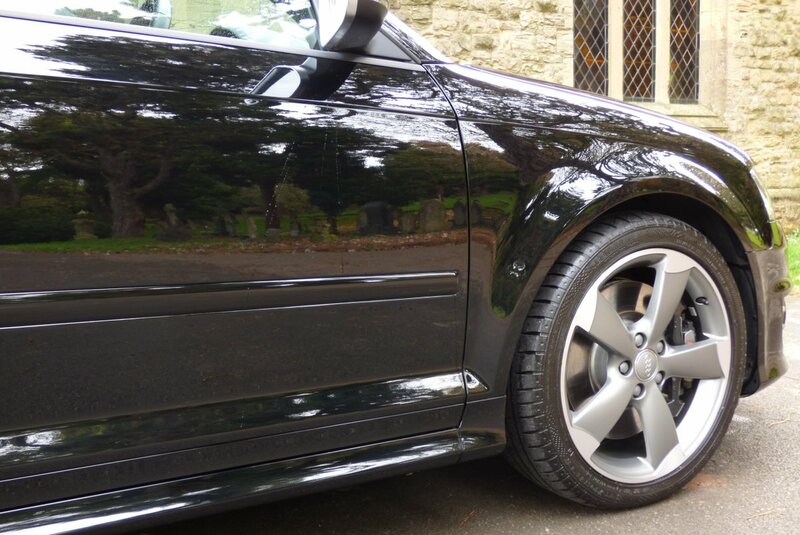 The Car Looks Staggeringly Beautiful From Every Angle. 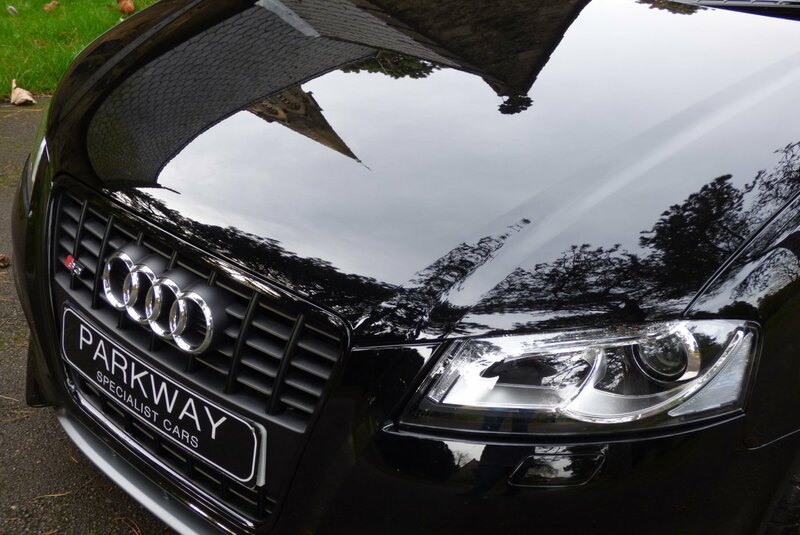 A Perfect Example, Perfect For That Trip Into The City Or That Planned Weekend Away. 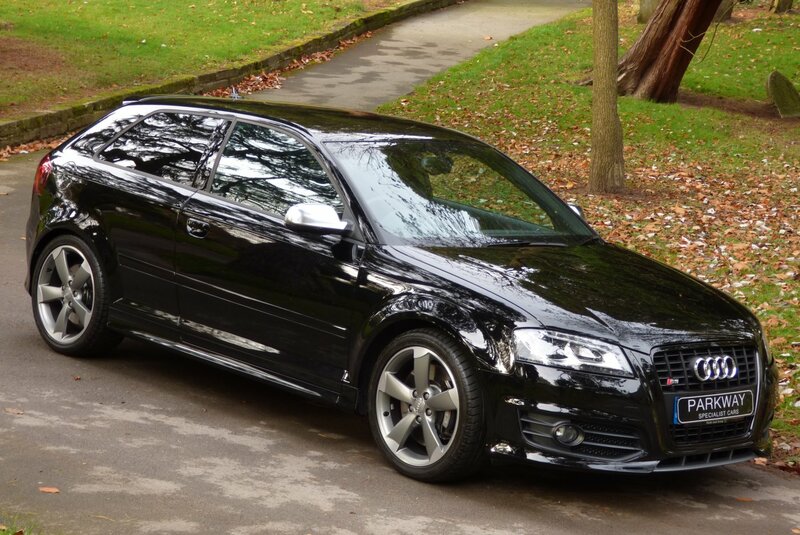 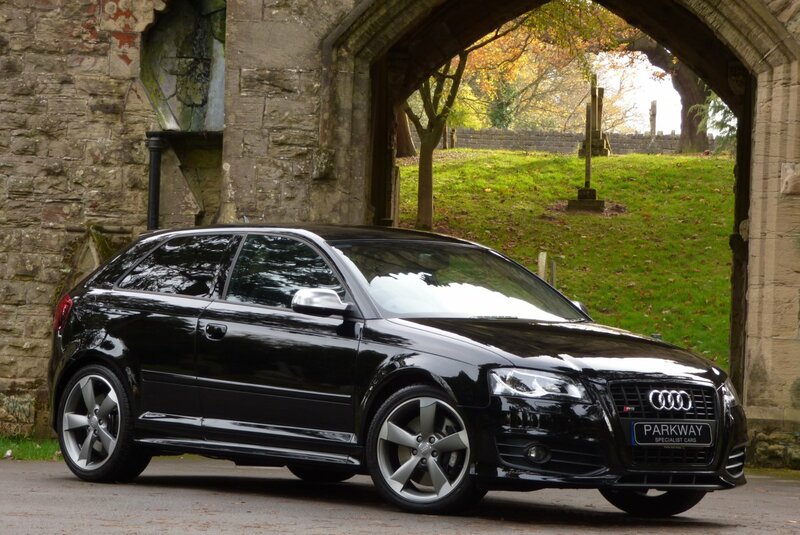 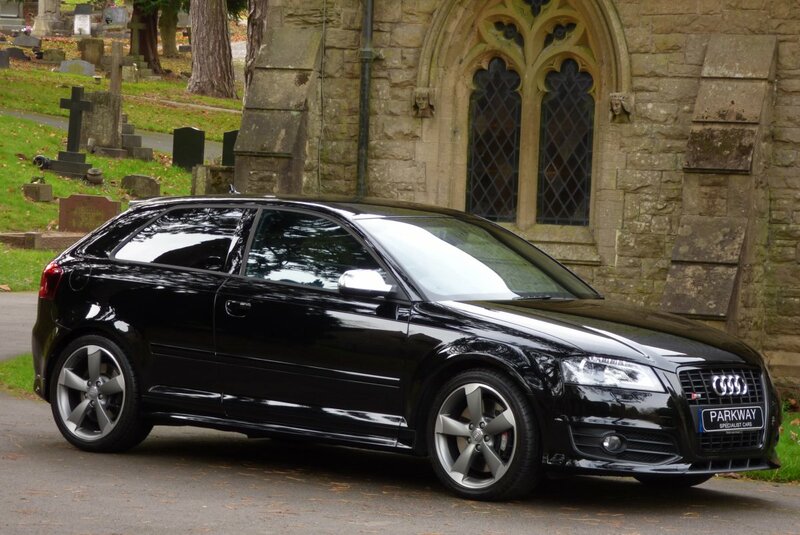 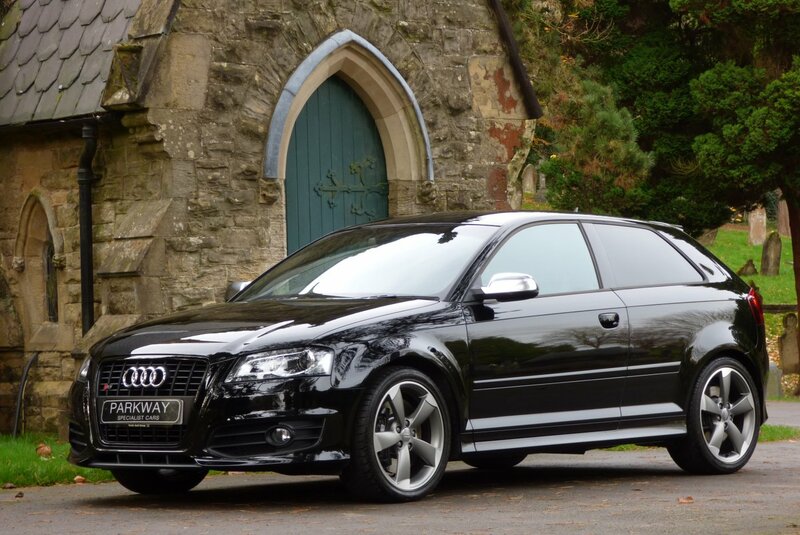 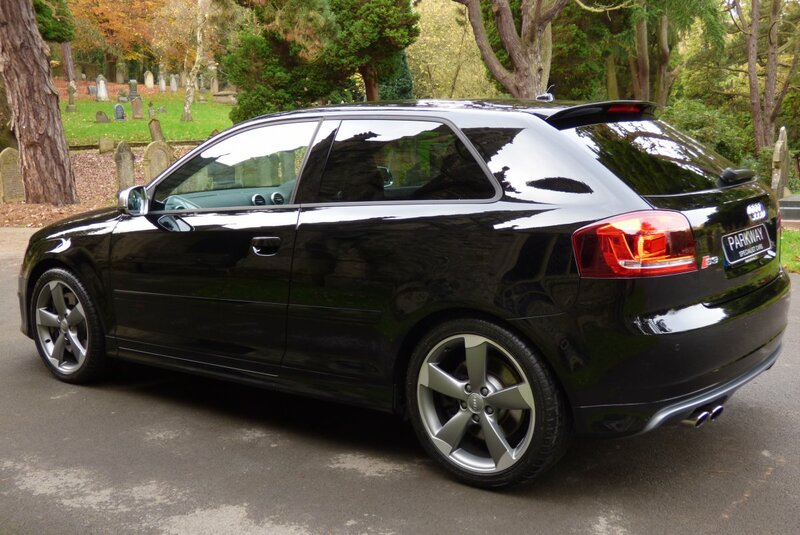 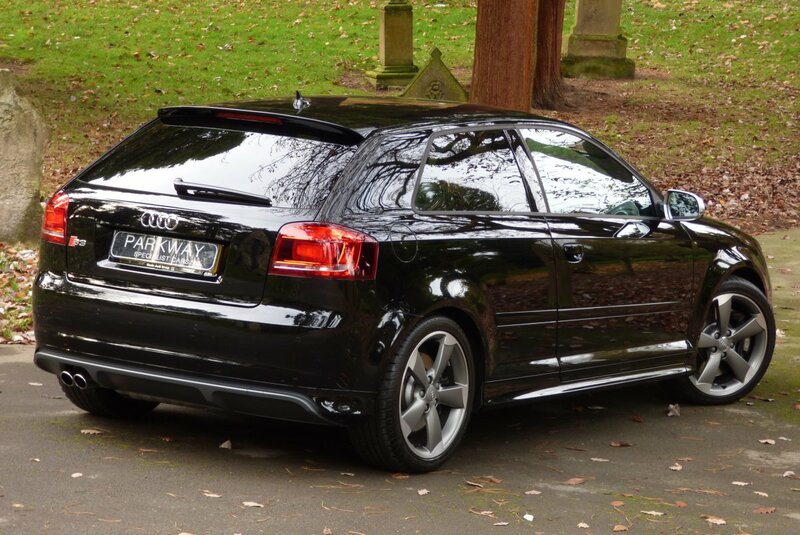 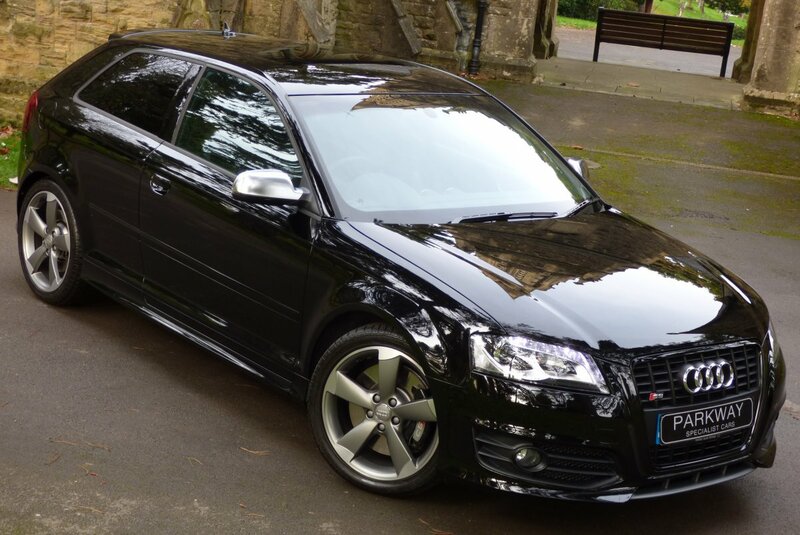 This Perfect Low Mileage Example Has High Audi Factory Options To Include The Full Colour Information Screen With Satellite Navigation System Plus, Unmarked 18" Five Arm Rotor Alloy Wheels, Electric Heated Mirrors, Black Leather Bound Three Spoke S3 Embossed Flat Bottomed Steering Wheel, Daytime Running Lights, Audi Black Optic Pack, Chromed Door Mirror Cases, Electric Heated Mirrors, Remote Central Locking With Alarm, Sun Protection Privacy Glass, Rear Park Distance Control, Roof Mounted Shark Fin, Chromed Twin Exhaust Tips, Xenon Headlights With Power Wash Function, Cruise Control, SD1 & SD2 Card Readers, Bose Speaker Sound Package, Audi Steel Pedal Set, Embossed Interior Sill Kick Plates, Variable Heated Front Seating, Quattro Four Wheel Drive System And So Much More. 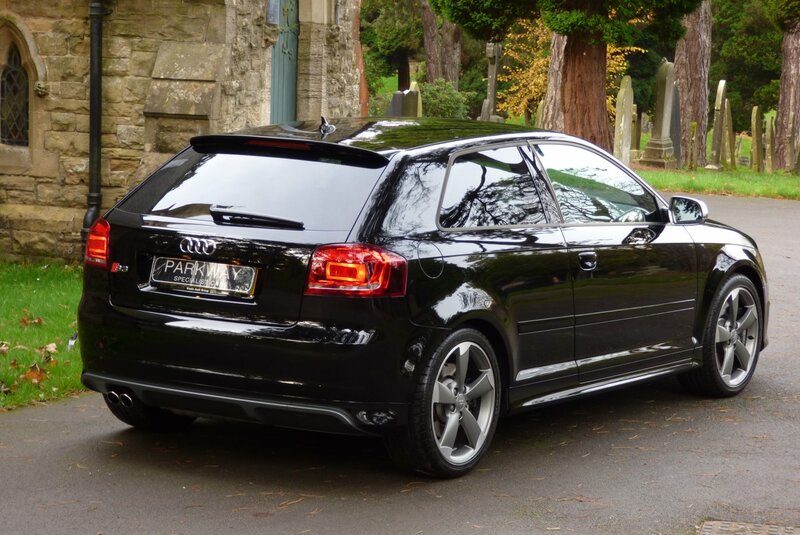 Offered For Sale With The Entire Booklet Pack Set, A Fully Cleared Hpi Report And A Full Key Set..